Not everyone has the pleasure of taking a quick look around the Datzeberg. And even less people make a visit accompanied by a tour guide. So grab a coffee and walk around the place that is close to our hearts with us. The tour is led by the long-standing director of the District Office on the Datzeberg, Tom Liebelt. Click through the gallery and enjoy this loving and realistic tour of the Datzeberg with us! When you look at Neubrandenburg, Mecklenburg Vorpommern's third biggest city from far away, you immediately see the skyline of high-rise buildings and apartment blocks, overlooking the city. That is the Datzeberg. Contrary to the first impression, the Datzeberg is located in the suburbs and it is anything but an anonymous, mass city district. For many of the residents here, the Datzeberg feels like a village – meeting each other, chatting, gossiping… Around 4000 people live in this residential area. There were more than 10,000 people living on the Datzeberg before reunification, which then brought migration and a drop in birth rates to Neubrandenburg. In the years to come, housing blocks would be torn down and some blocks of more than 3 storeys would be rebuilt and painted. The neighbourhood has become brighter, greener and calmer. There are finally enough parking spaces for everyone. That is super. The Datzeberg is not a wealthy area. The people who mainly live here earn small to average incomes. There are relatively many children, few young people, more old women than anywhere else, few migrants and many dogs. The average age is 40. You can reach the Marktplatz Center in the city centre within 15 minutes, with a bus coming every half hour – at least before rush hour. Whereas the Datze Center was originally built for the 10,000 people that used to live here – compared to the 4,000 people today. But it is still home to so many important shops like NETTO, the post office, the bank, the chemist, and a Syrian grocery shop. And furthermore, doctors, physiotherapists, a bistro and a fitness studio. 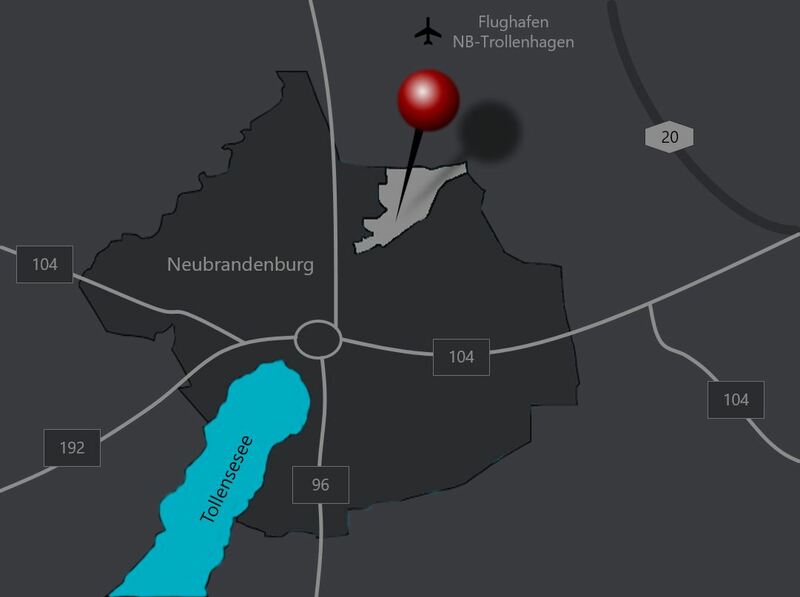 The people from the Datzeberg really like the fact that there are important organisations in the area and that they can reach them by foot in no more than 10 minutes. You don't much need longer than that to get from one end of the housing estate to the other. The Datzeberg is very easy to navigate and is designed in a way that you will always bump into someone on your way to the 2 kindergartens, the primary school, to the doctors, to the garden, to the bus stop, to the Datze Centre, Netto, or on your way home. And of course there are the not so nice things about the Datzeberg: the dog poo, particular neighbours, overflowing rubbish dumps, uneven pavements, gossip, children, boredom which turns into nonsense, play parks with missing or old equipment. But don't the kids from the Datzeberg need playparks, where they can go behind the block and find nature and forest straightaway, for climbing trees, graffiti, playing hide and seek or secret moto crossing? In any case they make the most of what there is. Do most of these conveniences for the residents continue to remain before the front door and if so, then are not many of them compensated with a great view, over-looking the city or the Tollensesee? Only the people from the Datzeberg can answer these questions and they will do just that whenever they are asked.